UNITED NATIONS, Jun 4 2014 (IPS) - The United States’ decision to “work with” the new Palestinian government has virtually isolated Israel: the only country so far to have publicly rejected the political alliance between Fatah and Hamas. “Not a single nation has heeded Israel’s futile call to boycott the new unity government,” said Riyad Mansour, Permanent Observer for the State of Palestine to the United Nations. “This is a significant development and in line with the national interests of the Palestinian people,” Mansour added. Israel, one of the closest allies of the U.S., has already launched a scathing attack on the administration of President Barack Obama, describing U.S. recognition as “American naivete”. Secretary-General Ban Ki-moon said the United Nations stands ready to lend its “full support” to the newly formed government in its effort to reunite the West Bank and Gaza, in line with the intra-Palestinian unity agreement of Apr. 23, under one legitimate Palestinian authority. This, he pointed out, includes addressing the serious political, security, humanitarian and economic challenges in Gaza, and holding long overdue elections. Asked if this means “U.N. recognition” of the new unity government, U.N. spokesman Stephane Dujarric told reporters: “The issue of recognition of governments is one that is up to member states. Further, he said, Fatah’s leadership of the coalition, with its built-in security agreement with Israel, means the new Palestinian government also agrees to operate behind the apartheid wall as a demilitarised entity dismembered by scattered Jewish settlements under the protection of Israel and its intrusive security services. “Even if the new government survives, the lives of Palestinians in the West Bank and Gaza will continue to be dominated by realities imposed by Israel backed by its indulgent uncle, the United States,” said Jennings. While Mahmoud Abbas will continue to remain President of the Fatah-dominated Palestinian Authority, the new 17-member cabinet will be headed by Prime Minister Rami Hamdallah, described as a linguist and a former university president. The cabinet does not include members of the two largest Palestinian parties, Fatah or Hamas. Instead, it is made up of independent technocrats whose job is to prepare the groundwork for elections for the Palestinian Authority. Although Hamas supports the government, none of the members of the new cabinet is affiliated with Hamas, IMEU said in a statement released Tuesday. Hamas remains designated a “terrorist group” by Israel, the United States and some of the Western European nations. Hamas is weakened by the strangulation of the Gaza economy by a combination of the (normal) Israeli garrote and the Egyptian closure of the tunnels and checkpoints, he added. Prashad said Hamas had no good choices available to it because Gulf money is not a long-term solution or (in this time of a shakeup) a short-term option. The international agencies (the International Monetary Fund and the World Bank) all ask for reforms that are not an option for a small region that is essentially a permanent sanctions economy, he said. “Hamas had to surrender to the neo-liberal policy slate that has become the main policy agenda for the Abbas-led government in the West Bank,” said Prashad, co-editor of ‘Dispatches from the Arab Spring’. Asked if it was really a government of national consensus, he said: “No. More like a government of desperation”. Hamas had to back off on its demand for its person to run both religious affairs and prisoner affairs. This shows you that it is not based on consensus, he noted. “Israel is going to do all it can to undermine even this consensus situation. It will do everything possible to break the unity, including sabotaging the elections slated to take place in six months,” Prashad predicted. “And it is in Israel’s interest to have the two parts of Palestine in a kind of political congestion suffocating for lack of a pathway to liberation and peace,” he added. Jennings told IPS it was clear from the beginning of the rift between the Palestine Liberation Organisation (PLO) and Hamas that it would hopelessly divide Palestinian political ambitions and serve only the interests of Israel. In fact, it has been a disaster for the Palestinian people. An even more daunting – and very doubtful – issue is whether the Obama Administration’s willingness to do business with the new unity government can withstand being crushed between the upper- and-lower-millstone coalition of Israeli Prime Minister Benjamin Netanyahu and his numerous sycophants in the U.S. Congress, he noted. The irony of that situation is analogous to the time when the ancient Israelites were reduced to having their weapons blocked and their tools sharpened by their arch-enemies, the Philistines. 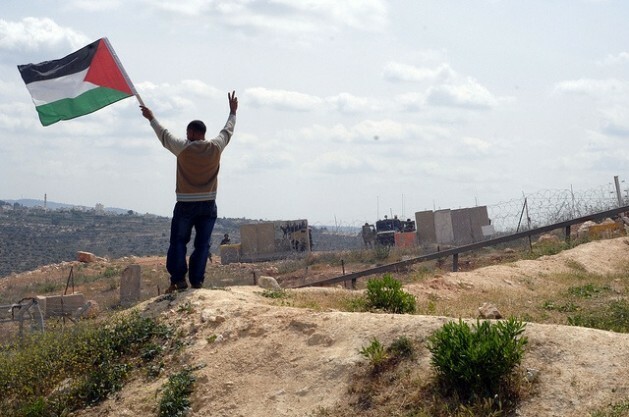 There is no agreement with Israel on political rights leading to statehood, no human rights guarantees for Palestinians, no control of its own borders, and no realistic chance for the massive economic programmes that are needed to empower Palestinian growth and development. The caretaker technocrat government installed by President Mahmud Abbas in Ramallah with the concurrence of Hamas leader Ismail Haniyeh in Gaza is a step in the right direction, Jennings noted. However, it has very little time to perform before scheduled elections take place six months from now. Over the past few years humanitarian needs in the Palestinian territories have grown exponentially. Caught between Israel’s destructive policies and remaining elements of Hamas rejectionists in Gaza, it is very doubtful that the new leadership will be able to withstand Israeli attempts to torpedo it and inspire the full support of the international community that is sorely and urgently needed, Jennings declared.